This week I’m the hostess with the Möstest. 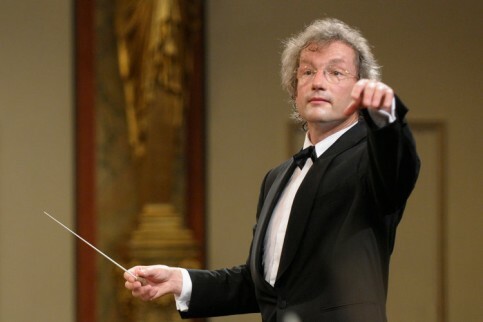 I’m just back from Franz Welser-Möst’s Philharmoniker Wagner and Bruckner Philharmoniker short-notice job (standing in for an ill Esa-Pekka Salonen) at the Musikverein. Full program information here. Technically superlative, of course, but this lightweight and sometimes fussy Prelude and Liebestod had nothing on Haitink last week, though this was only the bread of the Tristan sandwich. I strongly dislike Bruckner, and if I hadn’t already bought a ticket to this gig back when it was a Salonen/Mahler concert, I would never have gone to hear his Symphony No. 9, which sounds to me like an endless chain of foursquare antecedent-consequent phrases connected by melodic sequences. * With some loud patches. Albeit exquisitely played! I could write bitchy Bruckner quips all night (all the symphonic ingredients are there, but the chef’s on break), but I’d rather provide a public service. I’m not talking about sneaking into the Musikverein organ loft and unfurling a giant banner reading “AREN’T THESE SEXIST BASTARDS GREAT?” over the orchestra at the end of the next Philharmoniker concert. Though I would dearly love to do that as well. No, I mean here is a roundup of the reviews from Maestro Welser-Möst’s other gig this week, the Cardillac prima at the Wiener Staatsoper. There are a lot of them. Most of them are more enthusiastic than my generally positive take (apparently it’s Welser-Möst Conducts Music I Don’t Like Week), but I also get the feeling that everyone really wanted this to be a success, especially the locals. Voila. All except the last one are in German. Kleine Zeitung: Not a single boo! The only option in English other than yours truly: a brief review by AFP. I’m glad that my remaining events of the week–that would be the Jonasabend at the Konzerthaus, Tolomeo at the Theater an der Wien, and possibly Elisir d’amore with the JDF–all involve music I actually like. *I know this could describe a lot of music, but you’re not supposed to notice it.